No one, but no one, celebrate Easter like the citizens of Florence, Italy. In a tradition that's centuries old, teams of white oxen, bedecked in flowers (after all, the word Florence literally means the “City of Flowers”) draw a massive and mysterious 30 foot wooden structure, which is over 500 years old, through the cobblestone streets. But in 1097, Pazzino was climbing the Holy City’s walls and was later given three fire-striking flint stones from the Church of the Holy Sepulchre as a reward for his achievement, which considering their source, made them holy relics in the 11th century. Being a citizen of Florence, Pazzino placed the newly acquired relics, on returning to his beloved City State, in the care of the Church, what has honored them ever since on Easter morning. Then as now, when the tall antique tower reaches the Piazza del Duomo, a Mass Pasqua will have just been completed. With its arrival, the real fun begins in what the Florentines call the Festival of Scoppio del Carro. A long fuse wire will have been attached from the Duomo's high altar to the elaborate wooden tower outside. A dove, symbolizing the hope for peace and harmony, is then ignited at the altar and, with fire and sparkles, shoots down the length of the Cathedral towards the outside tower. The flaming dove then flies into the tower, which is affectionately called “the cart” by the Florentines, to the delight of thousands gathered outside. Inside the wooden structure are hidden fireworks, which then ignite and shoot off to the cheers of the citizens, Everyone is grateful that the dietary limitations of the Lenten season are finally over as the flaming dove flies back to the Cathedral altar. And how do the Florentine citizens celebrate their new freedom to dine without restraints? 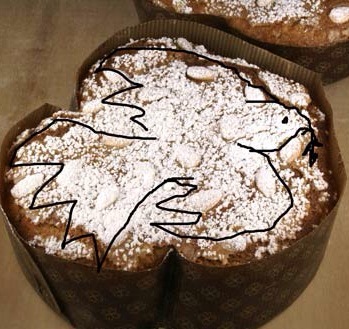 Why, with a slice of Florence's famed Colomba dove shaped Colomba bread. "Don't worry. Life, like the flaming dove of the Cathedral, shoots by all too quickly. The outlines of one’s life don't matter all that much - as long as we have the courage to truly savor the elegant contents of both the loaf and life itself!" Happy Easter! May your life always be full of flavor! Posted on March 18, 2013 by Ana Kinkaid and filed under Art, Baking, Bread, Cooking, Cuisine, Culinary History, Elegance, Festivals, Food, Holidays, Italy, Recipes, Style, Taste, Values and tagged Colomba Bread Crusades Duomo Easter Easter in Italy Fireworks Florence Italy Italian Philosophy of Life Relics Scoppio del Carro. The crowds gathered in St Peter's Square in Rome were amazing when Vatican officials announced on Monday that the new pope would be, wait for it, an Argentinean. Yes, that's right, an Argentinean - not an Italian, not even a European! Shock and surprise. So who is this man? 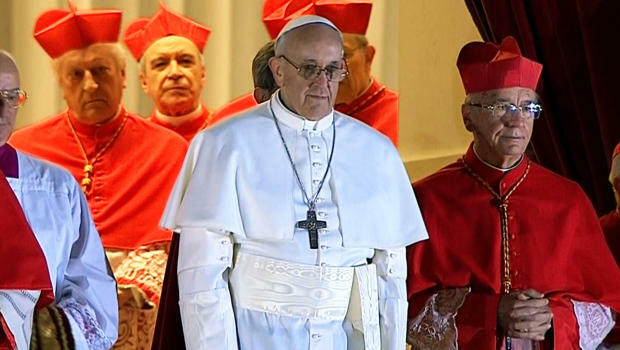 He is Jorge Bergoglio, the very different Cardinal of Buenos Aires. To begin with he speaks Spanish as a first language and is also a trained biologist. But the differences go far further than that for this ascendant to the throne of Peter. Bergoglio is a Jesuit with a lifelong dedication to the poor and his whole lifestyle, including diet, is an indication of that commitment. He has for many years lived in, not a palatial palace, but a midsized apartment in downtown Buenos Aires with another elderly priest. There he has cooked his own meals, crafting them from fruits and vegetables purchased at local markets with only an occasionally accent of meat for flavor. (What amazing dietary discipline in the land known for its fabulous and very large stakes). After dinner he was known to often stroll on the streets of the Capital pausing to talk and listen to the needs, not of the high and the mighty, but of the everyday person. He never hesitated to enjoy what they enjoyed and that included a gourd of yerba mate, Argentina's national drink. 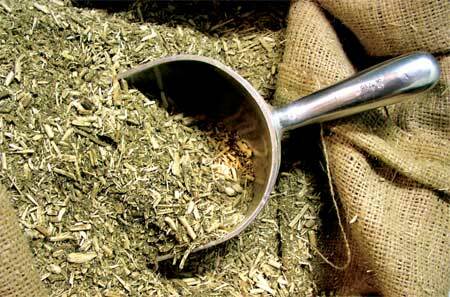 And therein lies a tale for mate is also known throughout South America as "Jesuit Tea". During the 1600s and 1700s the Jesuits established many missions throughout Paraguay and Argentina. In addition to sharing European skills with the local indigenous people, the Jesuits also simultaneously protected them from enslavement by the nearby Portuguese. While working together, the Jesuits and the free native population were able to cultivate the tea-like wild mate plant. Soon this new-world produce was competing with the English and Dutch marketed tea and producing significant revenue to support the Jesuit missions. In 1750 all this, however, came to a stop. The Treaty of Madrid, as captured in the film, The Mission, redrew the map of South America to satisfy the wishes of the rich and powerful. This redistricting forced many of the once free native people under Spanish rule into Portuguese territories and into slavery. 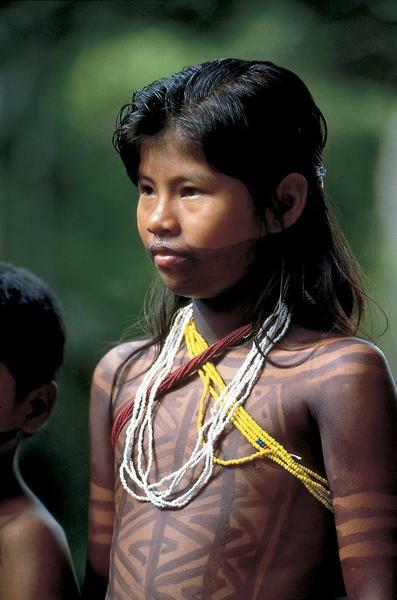 The Jesuits protested such an injustice while the native people could only flee back into the jungle and so sense of safety. Without care, the mate producing farms were soon overgrown and absorbed back into the tangled undergrowth leaving no trace of the renaissance between cultures that might have been. The new pope is surely aware of this tragic struggle between obedience to authority and unalienable human rights because he has chosen "Francis" ("Francisco" in Italian) as his papal name. St. Francis himself, as shown in the film, Brothers Sun, Sister Moon, struggled with this same conflict. Born into wealth and comfort, he came to understand that nothing can be rebuilt by exclusion, by indifference. Like Francis, this new Pope is a man of simplicity, entering a world of marble palaces and rigid hierarchy. 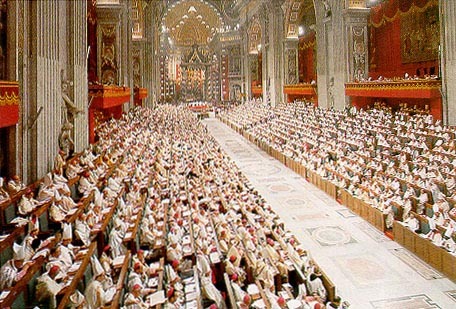 He is being called upon to address such vast issues as the ever widening child-abuse scandal and possible money laundering by the Vatican bank as well as the needs of the poor and the demand for universal womens' rights. 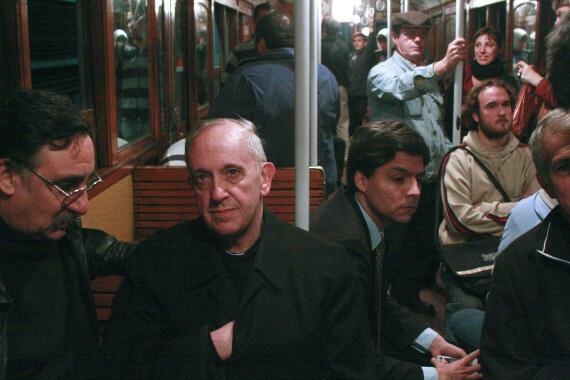 Pope Francis has in the past preferred public transportation over riding in a limousine, carried his own luggage, bought his own groceries and even danced the tango when he was younger. Like St. Francis, he will find himself in need of that humility if he is to decline the seductive trappings of papal glory and remember the value a gourd of yerba mate drunk with the very people that Christ himself called, "My Brothers and Sisters". Posted on March 14, 2013 by Ana Kinkaid and filed under Architecture, Beverages, Cooking, Courage, Cuisine, Culinary History, Diet, Films, Food, Italy, Menu, Movies, Values and tagged Brother Sun Sister Moon Jesuit Tea Jorge Gergoglio Pope Francis Pope Rides Bus Pope's Favorite Food and Drink Pope's Favorite Meal. Jesuit Slavery St Peter's Square The Mission Vatican Wealth Yerba Mate.